One of the most classic errors businesses make when raising Series A funding is believing that it involves the same strategy as a Seed round. 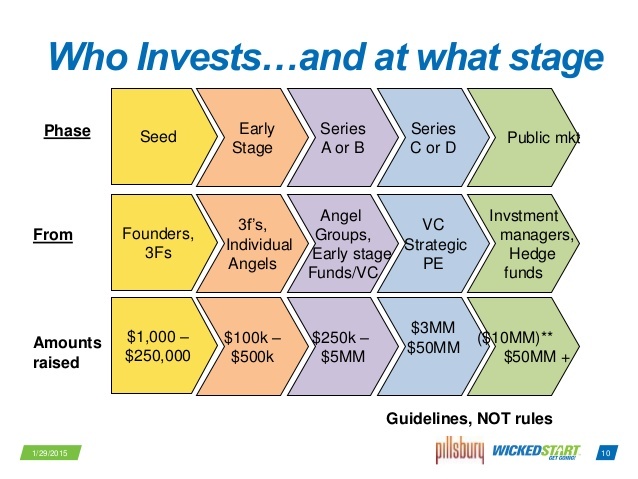 Series A rounds pose unique challenges, and like any other funding stage, preparation is key. This guide will help ensure you approach this round ready to secure the capital you need. Following a seed round, series A is ultimately useful for optimizing product and user base. It is therefore important that you have a business model that demonstrates your ability to generate long-term profit. This goes beyond demonstrating great ideas at the seed level and requires you to really show how to monetize the business. In this section, introduce those in your Executive Team, and any relevant qualifications and achievements. Identify how your team could change upon securing investment. This section helps investors get a clearer understanding of where your business fits into the market. Clearly identify who your target market is and how they can purchase your product or service. Consider what is unique about your technology? What makes it special? How do you appeal to your target market and why would they choose your product over your competitors? Consider all possible cost structures and revenue possibilities when detailing your business model. This should show how your business is going to make money. For a more detailed analysis on how to present your business model, check out our guide here. Who are your main competitors? What are their weaknesses? What are your comparative strengths? Investors will want to know that you understand and appreciate that there are always risks. How will you deal with them? How much capital are you looking for and how will you spend it? Give details about your previous funding rounds, including who your investors were and when it occurred. When it comes to approaching investors, we believe that businesses should try to talk to as many partners as possible, as this enables you to practice techniques on those who are not priorities. We also advise going for diversity in the investors you approach. This will allow you to meet people with a range of ideas and focusses, allowing you to better understand what it is that VCs are looking for and allow you to plan accordingly. Make it clear to a potential investor what you need and what you want from them, besides just capital. If they have expertise in your field, tell them that you want to work with them because of your overlapping passions and would like guidance in your project. This should come early in your search. There is no point approaching an investor who specializes in services when you are a specialized product venture. This will save you time and resources by knowing who to target. Researching previous investments can help shine a light on exactly what they look for in companies. If they favor attributes like a strong executive team or product design, you can know who is best suited to your venture, and what to focus on during your pitch. Why do Businesses Fail at Getting Series A Funding? Most businesses fail to achieve Series A funding, regardless of their initial angel or seed-stage rounds. Here are some of the main reasons for this failure. In the eyes of the investor, you may have been unable to demonstrate all the necessary skills deemed important for advancing your business. While you may have developed a great product and have a top quality team, some businesses may forget to focus on the growth potential of the business. Ultimately, series A investors are paying most attention to this. Market validation should always be done before introducing a product. This should take a minimum of four to eight weeks to complete. If you cannot show evidence of validation, you will not be able to convince investors to participate in your project.